Are we citizens or zeros? SCIENCE fiction and social realism combine to disturbing effect in Citizen Zero with its vision of a post-austerity Britain built on rampant inequality. Citizen Zero, released in August 2017, is the second work by Mark Cantrell to be published by Inspired Quill, following the success of his previous title, Silas Morlock. This time, Mark's storytelling hits us with a frighteningly familiar – yet subtly altered – world. It presents a society where artificial intelligence (AI) has devastated jobs, and what remains of the Welfare State has become an integral part of an unforgiving system of government surveillance. 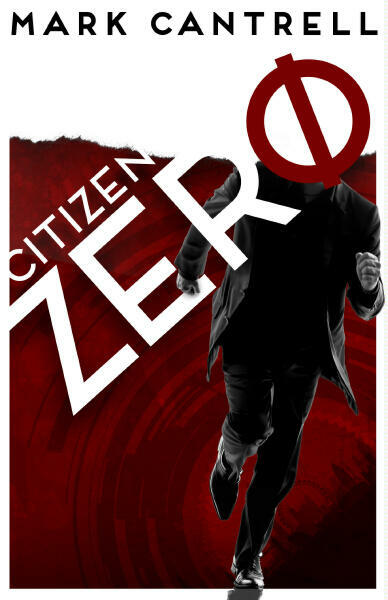 Drawing upon such disparate themes as austerity and welfare reform, social inequality and poverty, security versus civil liberty, Citizen Zero throws into the mix our often-blind faith in new technology, to offer a powerful critique of the here and now seen through the lens of an intense science fiction thriller. Told with an uncompromising voice through the eyes of characters from wildly different social strata, Citizen Zero asks some disturbing questions about where we’re headed. In this version of the future, Britain is a seemingly prosperous consumer society under the strong and stable leadership of Prime Minister Alex Carlisle. But appearances can be deceiving. This is a society bitterly divided between rich and poor, where an excluded underclass known as ‘zeros’ eke out an existence any way they can. The threats of crime and terrorism are used to justify the pervasive system of high-tech surveillance. The novel's protagonist, unemployed David Mills, languishes on the verge of becoming a zero himself, but then he’s ordered to take part in the government JobNet recruitment scheme. Within its advanced virtual reality world, David is offered the chance to build a worthwhile future and rejoin society. Of course, you know it’s just too good to be true. David becomes an unwitting pawn in a conspiracy to topple the Government when he’s used to infiltrate an intelligent virus into the system. JobNet is the weakest link, David the ideal carrier, for an attack intended to unravel the AI networks that underpin the surveillance machine, and set the zeros free. When the virus strikes, chaos ensues. The zeros rise. Britain falls into anarchy as the Government begins to lose control. The Prime Minister’s grip on power comes to depend on the life or death of a single zero – that would be David. So begins a desperate manhunt across two worlds – the real and the virtual – to find him before it’s too late. David, meanwhile, is trapped inside a corrupted reality. Tormented, alone, he searches a nightmare landscape for a means to escape back into the real world. It seems hopeless, but there’s something waiting for him in the heart of JobNet: an inhuman secret that will change everything.